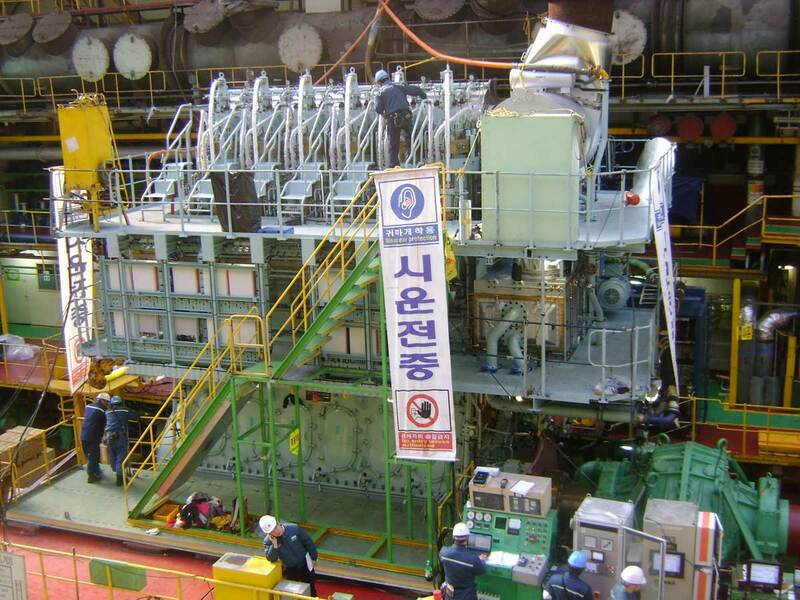 The first Tier-II compliant MAN B&W engine has finished production at HHI-EMD (Hyundai Heavy Industries Engine & Machinery Division) in Korea and is ready for delivery. The low-speed, two-stroke MAN B&W 6S50ME-C7 type engine will power a shuttle tanker (hull number 1749), currently under construction by Samsung Heavy Industries Co., Ltd., and ordered by Teekay, global provider of marine services to the oil and gas industry. Ship delivery is planned for July this year. Under the terms of the contract, the 6S50ME-C7 engine is intended for Teekay’s Amundsen class of ships, the most sophisticated and eco-friendly shuttle tankers ever built. Teekay actively sought for production to meet DNV (Det Norske Veritas) Clean-Design Notation requirements that comply with the strict, IMO Tier-Il emission limits, setting in train the production of the first Tier-II compliant MAN Diesel engine. This milestone is related to MAN Diesel’s decision in June 2008 to relaunch its product portfolio, making all its engines compatible with the limits established by the International Maritime Organisation (IMO) in its Tier-II regulations. The historic relaunch was designed to pre-empt the January 2011 implementation of the new IMO NOx emission limits and clearly flags the company’s environmental credentials. The majority of adjustments required to make the engines compliant with Tier II are minor, internal changes influencing such characteristics as scavenging pressure, injection spray pattern and smaller combustion-room volumes.